The DSR Table was designed to match the DSR Chair, featuring similar chrome legs with a criss-cross pattern. Available in black and white, this classic table is the perfect fit for any dining room or kitchen. 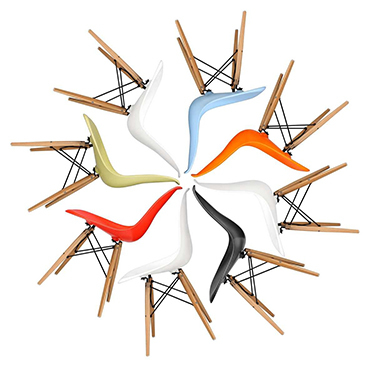 Take a look at our DSR Chair, or to mix things up, why not try matching the DSR Table with our Eames DSW Chair.